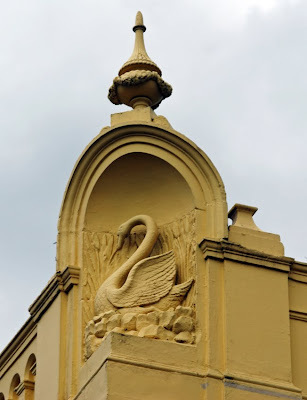 The Swan has kept its name, but was once a hotel with this elegant symbol on its corner. A jaunty date adorns the Little Crown, still on New Cross Road. 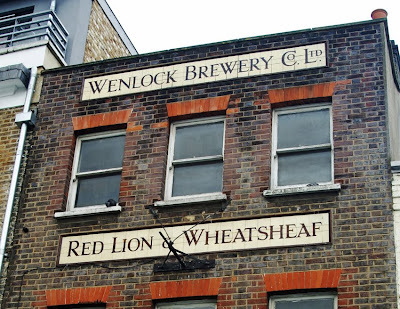 The Red Lion & Wheatsheaf is gone, but its tiles remain. 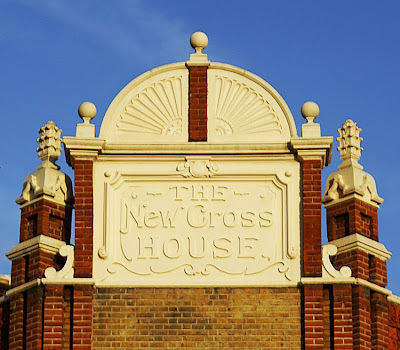 Goldsmith's Tavern was once the New Cross House. 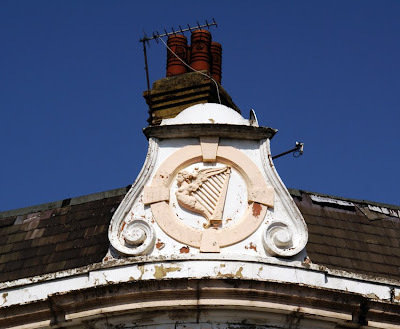 The Harp, or Harp of Erin, is still opposite the end of Deptford High Street. 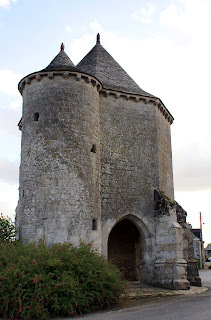 The centrepiece of the Breton village of Langourla is the Saint Eutrope tower. All that remains of a mediaeval church (its Victorian replacement is dedicated to St Peter), the building also has its own legend. It is said that if a person is ill - particularly with migraine or dropsy - they can be healed by the soil surrounding the tower. It must be placed on the site of illness, before being returned to the spot from which it was taken. 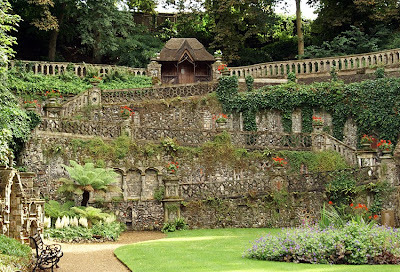 I haven't experimented: since the surrounding ground is now beautifully-kept garden, the attempt wouldn't be popular! 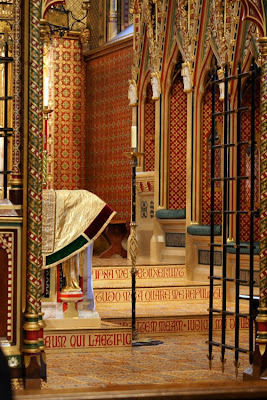 Little is known about the life of the third-century saint himself. He was apparently a bishop in Saintes, martyred after he converted the daughter of the Roman governor. 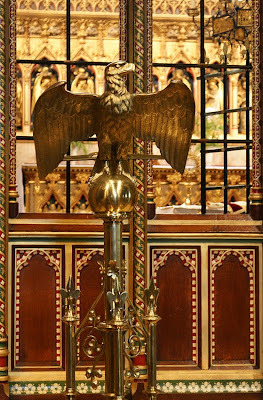 Her father, upset at the idea of her becoming a christian, paid bandits to kill the bishop, which they did with axe-blows to the head. Estelle, the governor's daughter, was beheaded on her father's orders and buried alongside the bishop. One of the most extraordinary places on the north coast of Brittany is Rothéneuf, a few miles from Saint Malo. When the parish priest, Abbé Fouré, suffered a stroke which left him deaf, he retreated to the cliffs to live the life of a hermit. However, Fouré undertook a project which would have been astonishing for anyone but was all the more so for someone in his state of health. 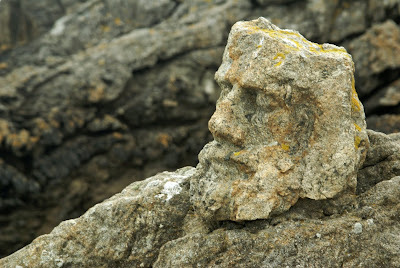 He carved the rocks into figures and scenes, some visible only at low tide. The demanding work lasted a quarter of a century until his death in 1910, by which time he had formed the rock into over 300 figures. Many are thought to represent the region's pirates of earlier times; others are creatures from hell. 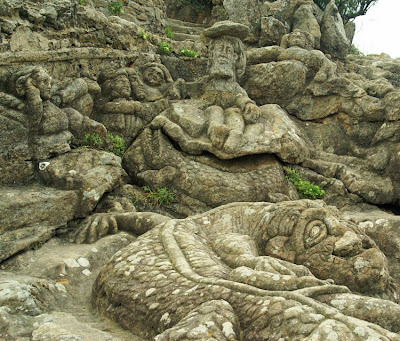 Sadly, the seaside location which makes these carvings so stunning is also eroding them. Many figures are already damaged or faint; in time, most will fade away under the action of the waves. In 1897, the Charity Commissioners compiled a report of parish charities. The Deptford publication thus gives a snapshot of the various charitable legacies and trusts then in place. Most are concerned either with educating poor children or providing bread, coal or small sums of cash to poor people. Among all this rather austere dole, Lambourne's charity must have been a bright spot in the lives of local workhouse inmates. It provided rather more appetising buns and ale on Good Friday, and had been left by one Francis Lambourne who died on 21 November 1822. Annual dividends on £90 stock were indeed still being spent for the purpose, half on beer and half on buns. These purchases were supplemented by Allin Price's Charity, established in 1872, which also bought Good Friday buns for workhouse inhabitants. Beef, beer and bread might also have provided a welcome change for the twelve poor people supposed to benefit from Scampion's Charity, but unfortunately the heir defaulted. By the late nineteenth century, there was no way of identifying the property whose income was supposed to pay for the meal. As with other forms of philanthropy, the creation of a charity (usually by legacy) served several purposes. First, it of course benefitted the objects, usually local poor people. Second, it kept the legator's name alive. Third, it often ensured a more physical form of memorial: several charities such as that of Thomas Watkin, who died in 1892, stipulated that income first went to the maintenance of their graves with the remainder going to charitable purposes. And finally, charity was also of course a religious obligation so it provided good insurance for the afterlife. Having found several Suze ghost signs, I was curious to try the drink itself. Launched in 1889, this wild gentian-based aperitif is celebrating its 120th birthday this year and remains a major French brand. 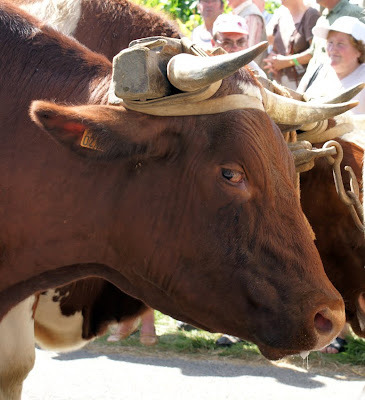 Suze, distilled from gentian roots, was actually invented even earlier - in 1885 - by one Fernand Moureaux (or he may have bought the recipe from its Swiss creator). However, it was officially launched four years later to coincide with the Paris World's Fair, although it had to wait until 1898 for its distinctive bottle. In the 1920s, a major advertising campaign was launched - those painted wall signs - and the aperitif has gained iconic status in France. Seven million litres are produced annually; at the end of every year, a special edition bottle is created by designers such as Christian Lacroix, Sonia Rykiel or Thierry Mugler. 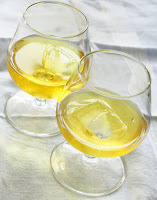 The drink itself is an attractive golden-yellow, and can be served neat over ice or with mixers. But what does it actually taste like? It's no surprise, then, that Suze has the same sort of love-hate reputation as Marmite. Since I'm definitely in the 'hate' camp, the only question is what to do with one nearly-full bottle of the stuff! An Evening Standard article highlights how artists in Deptford (and elsewhere) are using 'slack space' - properties awaiting development or new commercial tenants - as gallery space. 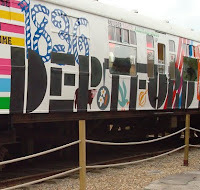 The Deptford Project ('it involves art, it involves community, it involves a decent cup of tea') and Old Police Station both get mentions. 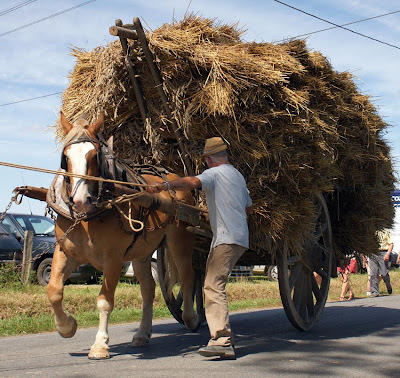 Every year in the Breton village of Plumaugat, there's a festival of farming. 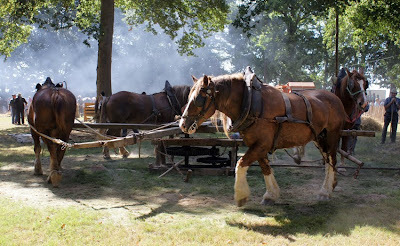 Hundreds of people take part in a parade, following which the afternoon is taken up with demonstrations of rural crafts, farming techniques, old vehicles, cider, bread and butter-making and more. Today's edition was exceptionally hot, but I escaped with only minor sunburn; those in the photos look remarkably unfazed by the weather. 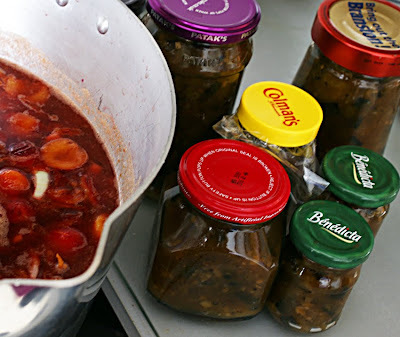 Today, I'm making courgette chutney and spiced plum sauce! 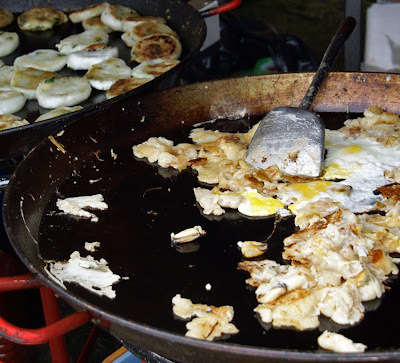 The latter is a traditional English savoury sauce, rather than the Chinese version. It's really good with cheese or cold meats, especially pork pie. Take 1.5kg chopped plums (including stones), a chopped onion and 4 cloves of chopped garlic. (All can be roughly chopped as they'll be sieved later.) Add 1 dsp coriander seeds, 4 cloves, 3 star anise and a cinnamon stick. Put them in a large pan with 700ml red wine vinegar. Bring to the boil and simmer for 45 minutes. Then add 600g demerara sugar and simmer for another 45 minutes. Sieve the contents carefully, then return the sauce to the boil. 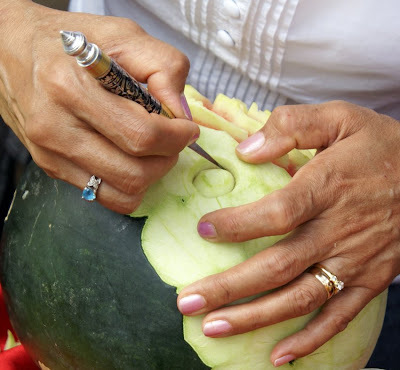 Pour into sterilised jars, seal, and store for a month before eating. 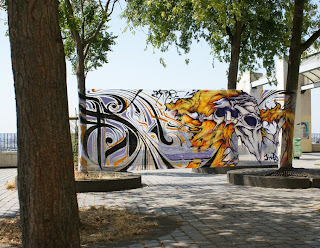 After a walk around Belleville looking at street art, my little break in Paris continued the contemporary art theme. 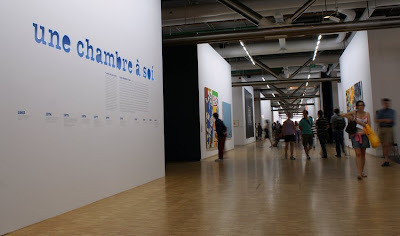 This time, I was back on the beaten tourist path at the Pompidou Centre. elles@centrepompidou sees the Museum of Contemporary Art in the famous building give more than half its space to work by female artists. This thematic display from its collection not only showcases a lot of interesting and important work, but also raises questions about gender and the art museum. It was great to see so much of the permanent collection display given over to women artists, but such attention is a relatively new departure for the museum. 40% of its art by women was bought in the last four years. Other museums and galleries are much further behind, though: Running in Heels points out that the National Gallery shows four paintings by female artists and the Louvre ... none. This show has helped to draw attention to their poor records, and encourages us to ask: will there be more women's work on show in future? 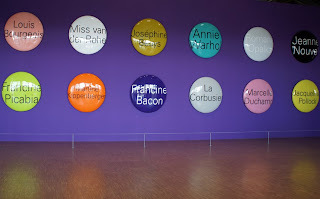 Just in case there won't, you have until January next year to see elles@pompidou. The building is as much an attraction as the art inside for many visitors. Indeed, there is a panorama-only ticket which allows you to take the famous escalator to the top level and look out across Paris. While I wouldn't recommend missing the museum, the view is certainly worth a visit in its own right. You can even enjoy it from the rooftop restaurant terrace (although prices are high). 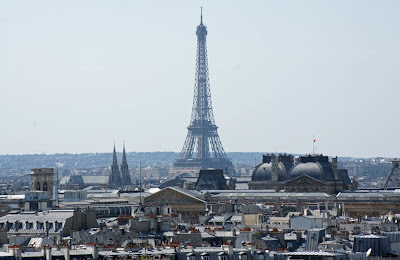 On Sunday, I went to Paris for the day courtesy of Eurostar little breaks. 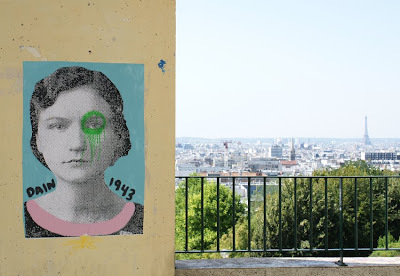 The timing was perfect as I was keen to visit the current show at the Pompidou Centre as well as try the street art-themed walk put together by Adam of the fascinating Invisible Paris blog. Both fit easily into a day and I even had time to look around the Musee Carnavalet, which documents the city's history, before taking the train home. More about the exhibition later; today, we're on the streets of Belleville. So, what did I see? I'll let the pictures do most of the talking here. I've referred to panoramas in the title, and Belleville's is amazing. The walk begins at the highest point in Paris (yes, higher than Sacre Coeur), so even after travelling mostly downhill to Belleville Park you're an impressive height above the city. The major landmarks are spread out before you but the spot is much quieter than better-known viewpoints, allowing the luxury of time and space to enjoy it. 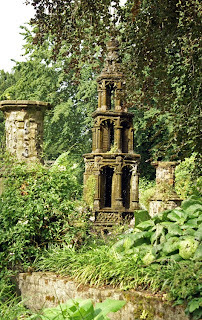 A secret well worth discovering! And yes, there's more street art there too. Finally, a plug: do download Adam's walks, which all look brilliant. The documents are lovely, well-illustrated and full of interesting information. Street art isn't the easiest topic for a guided walk, given the ephemeral nature of many works, but I saw all that had been promised. Equally important, the directions were really easy to follow. In fact, I didn't get lost at all, which will amaze anyone who knows me! Old newspapers made it clear that travel around Deptford (and on the roads around London generally) could be dangerous thanks to highwaymen, but one traveller appears not to have worried, packing large quantities of valuables for his journey. He advertised in July 1719 for the return of a 'lost' trunk apparently stuffed with diamonds. 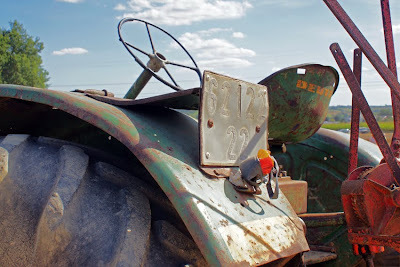 The claim that the missing property was dropped or forgotten was a common device to keep the advert on the right side of the law - agreeing not to prosecute thieves if they returned their ill-gotten gains was an offence, 'compounding a felony'. The address to be contacted suggests that the unnamed unfortunate was a jeweller, which explains the opulent contents of his luggage. It is interesting to consider why he didn't keep the small items on his person; perhaps for fear of being held up at gunpoint by a highwayman? Dropt the first instant, about Noon, from the Eltham Coach, betwixt Deptford and New Cross, or left at Deptford, a Leather gilt Trunk, containing several parcels of new Linnen, Head Cloths, &c. and Papers of no Use but to the Owner, a Guinea and Half, a small Rose Diamond Girdle-Buckle, a Diamond Necklace, pair of Diamond Ear-Rings, one with Drops, a String of 9 Diamonds, Brilliants, a small Pearl Necklace of 5 Strings, two other Necklaces, small Gold Watch with a Gold Chain, and Brass Hook, some Gold mourning Rings. If offer’s to be sold, pawn’d or valued, shop them, and on Notice to Messieurs Green and Eades, Goldsmiths, at the Crown in bard-street, and you shall have 50 l Pounds Reward, or proportion for any Part. 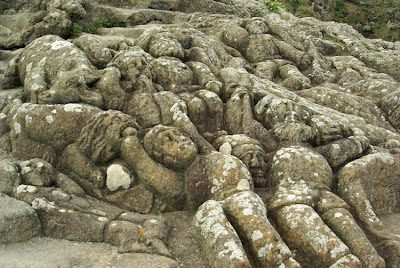 As we've all been looking for meteor showers during the past few days, and as I'm about to head off to Brittany again, here's a post from last summer about some other extraordinary rocks. The giant Gargantua ate a fishing boat full of fish rather too greedily, and vomited up the stone ballast. Fun, but a little unappealing. The rocks are made of the densest matter in the universe. Actually, this one isn't a million miles from the truth. In fact, the rocks ring with their strange metallic sounds for two reasons. They are amphibole, a very dense volcanic rock about 250-350 million years old - one of the hardest on earth. The combination of this density and their piled-up arrangement allows them to resonate. If singing rocks aren't enough reason for you to visit this spot (and why wouldn't they be? ), the ruins of Le Guildo castle are directly opposite, across a river estuary. Gilles de Bretagne whose funeral cortege passed through Langourla spent much of his life here. He had been sent to England as an ambassador when aged 8; the luxurious life of the English court led him into bad habits and he brought his wicked ways and overly-close friendship with England back with him to Le Guildo. 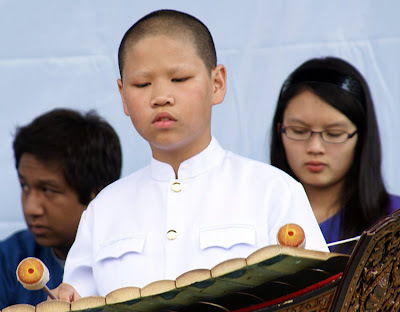 His brother's warnings went unheeded, until eventually he was imprisoned, tortured and killed. 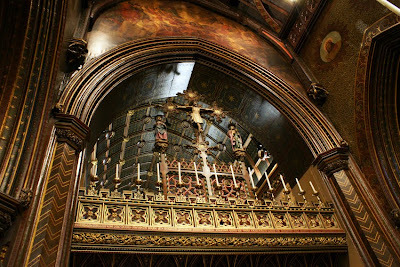 London's earliest timber structure has been discovered by archaeologists working at Belmarsh. It's a wooden walkway older than Stonehenge, which allowed prehistoric residents to cross the peat bog without sinking in. Read the full story of this 6,000-year-old discovery here. Such structures (there's another at Silvertown, but it's a mere youngster of about 5,000 years old) are not only found in east London. 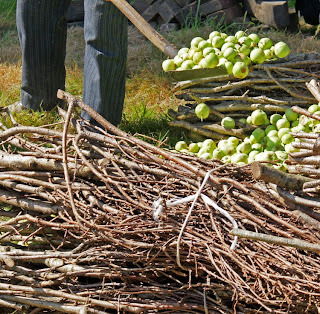 They are also present on the Somerset Levels, another peaty area - the advantage of peat is that it's very good at preserving organic materials. If you fancy walking across a reconstruction, the Peat Moors Centre has one (I strolled along it several times in my youth, when the Centre was a rather more humble affair), while parts of the original track are in the British Museum. Up until now, the Sweet Way across the Levels was believed to be the oldest human-made road in Britain; this new find is apparently slightly earlier. 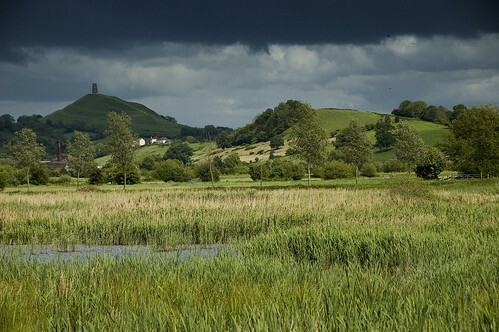 Image of the Somerset Levels by Joe Dunckley, shared under a Creative Commons licence. From Lord Duncan, [Deptford] Broadway, every 5 minutes to Gracechurch Street and Charing Cross. One to remember next time I'm waiting in the rain for a bus! 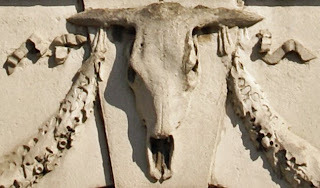 Londonist has created a new map showing London's tragedies and disasters. As M@ points out, we may all be familiar with more recent tragedies but earlier disasters are now nearly forgotten. This map redresses that, and is a fascinating if morbid light on the city's past. 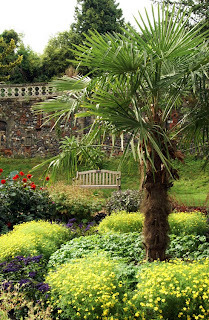 A hot, sunny Sunday, Greenwich Park, and Thai food - it all seemed so promising. The festival was a little disappointing, though: I felt that I'd been charged to enter a food hall. Lots of stalls sold the same basic choices, it wasn't cheap, and there were almost no samples. 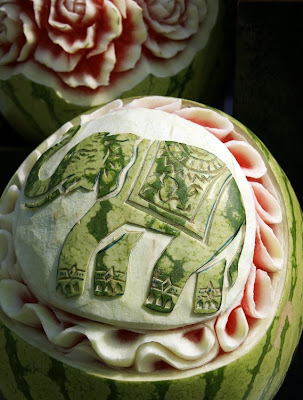 However, I did get a few photos, quite enjoyed watching the dancing, and was impressed by the fruit and vegetable carving - so not a total waste! Today's ghost sign must be my most rural-looking yet. 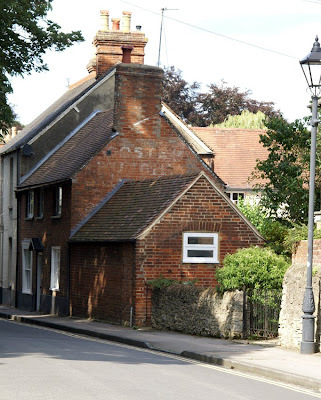 However, appearances can be deceptive: far from being a small country town, Headington has been absorbed into Oxford. The John Radcliffe Hospital and Oxford Brookes University are a few steps away from this scene. The words are faded, but appear to say 'Coster Butcher'. 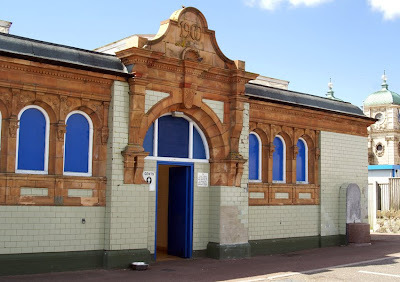 It's not every public toilet that would merit its own post, but this 1900 building on Great Yarmouth's seafront is pretty special. It's one of a pair, along with the neighbouring ladies' toilet. Like the Hippodrome, these charming buildings are the work of J W Cockrill who was borough surveyor at the time they were built. 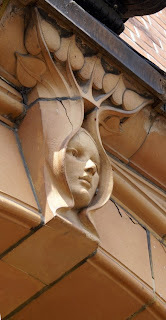 While it's the terracotta detail which catches the eye, the actual construction was rather notable. 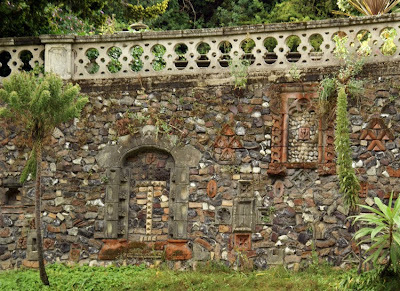 The building was erected by laying courses of L-shaped tiles, in a design patented by Cockrill, and then filling the shell with concrete, one course at a time: framing was therefore not required. 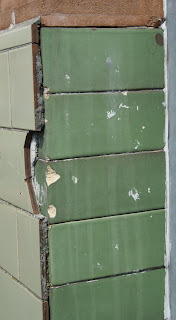 Although the buildings have been re-covered with very ordinary tiles, they have fallen away in places to reveal the rather more interesting originals. The tiles were used in other Great Yarmouth buildings (and probably elsewhere in the country too). 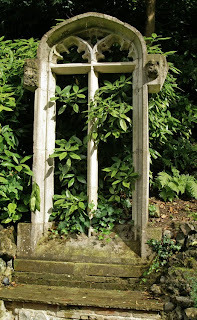 Among these was the tiled plinth for the town's Winter Gardens, the only surviving iron-and-glass example. 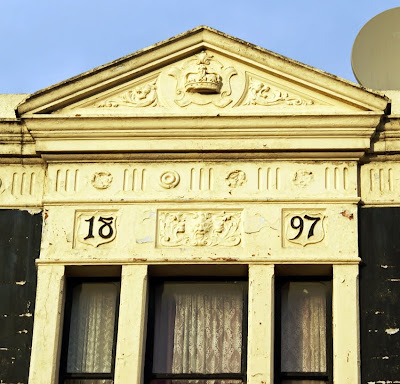 This building has a rather unusual history. 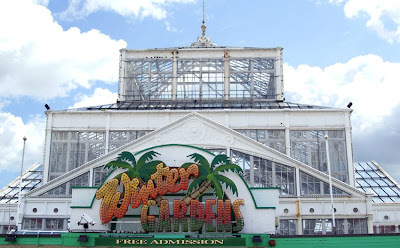 Originally erected in Torquay, where it was not a success, the Winter Garden was bought at a bargain price by the borough and shipped by barge to Great Yarmouth. Apparently, not a single pane of glass was broken in the move. 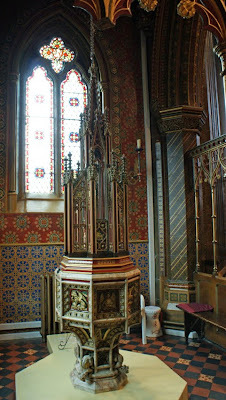 Again, I visited with the Victorian Society; for more about architect R S Cockrill, including his patented L-shaped tiles, see Kathryn Ferry's chapter in Powerhouses of Provincial Architecture. The place hummed like a hive of bees with the rush and hurry of hundreds of hard-driven men. Over and over again the visitor was told that such a time of pressure had not been known since the days of the Crimean war. He passed through departments packed to the ceiling with new blue serge suits, thousands of pairs of boots, innumerable bundles of flannel garments, countless caps, and great heaps of canvas clothes. In the victualling departments he found that the roast beef of old England had given place to German pickled pork, Antipodean preserved mutton, and American tinned beef. Elsewhere were stacked 20,000 tons of pickled and preserved meat, and the process of re-pickling the huge consignments of pickled meat which kept arriving went on ceaselessly day and night. In the biscuit and flour department, instead of the few thousands of pounds usually kept in stock, two million pounds of oatmeal and a million pounds of pease were being got ready for the use of Jack in the expected war; his rum was there, 100,000 gallons of it, being mixed with one part of water to four of old proof rum, in huge vats like miniature seas; and a million pounds of chocolate, to say nothing of tens of thousands of packets of tea and cocoa, were being packed up for his breakfasts and his teas. Other ominous reminders of the ghastly side of war were awarded by the sight of thousands of yards of canvas for shrouds, and by the surgical department, in which wooden operating slabs, miles of bandages, heaps of wooden legs and arms, hands and feet, bottles of jelly and soup, and invalid milk, were mute witnesses of preparedness of one branch of the service for the tragedies of war which happily did not take place. *Like the report in the previous post, this one may be less than precise on quantities: there seem a suspicious number of round millions! There's something pretty special about experiencing an entertainment which has been fundamentally unchanged for a century. Last year I enjoyed the Palais des Mirages in Paris's Musée Grévin; a few weeks ago, I spent the evening at an Edwardian circus. 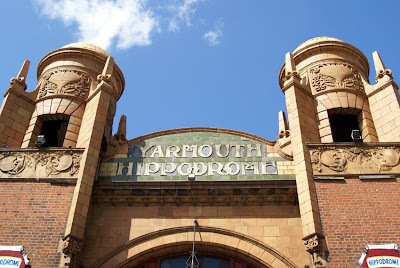 One of the most extraordinary buildings in Great Yarmouth is the Hippodrome: one of only two purpose-built circus buildings still working in Britain. It was built in 1903 by architect R S Cockrill for showman George Gilbert, and its detailing is a reflection of the prosperity of the Edwardian resort. 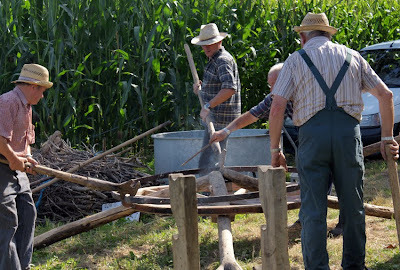 There is a dramatic change for the finale: water starts to flow and the wooden pegs supporting the floor are removed. 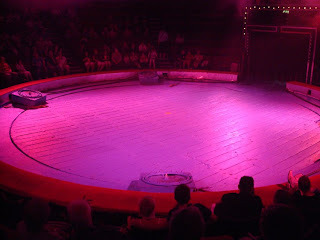 It drops into a water tank so that the ring has now become a pool. This equipment is original and does not use hydraulics or electricity: the 12.5 tonne floor simply sinks into the tank. Today, the water is heated, filtered and chlorinated for the synchronised swimmers who perform in it - but originally there was no filter and the water, which was also used by performing horses, must have quickly become pretty disgusting for anyone who had to enter it. That's one aspect of the past no one can be sorry to lose! The Hippodrome used to look directly over the seafront (parts of the Bath Hotel were demolished for the purpose), but today an amusement arcade blocks its view of the promenade. However, the building is thriving in its original role: a unique survivor. 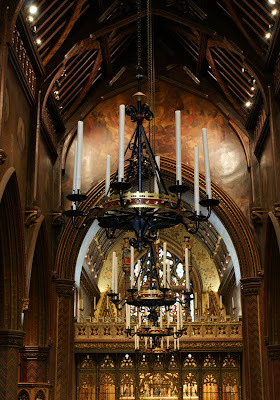 I visited with the Victorian Society; for more about architect R S Cockrill, see Kathryn Ferry's chapter in Powerhouses of Provincial Architecture.